Went to Casino Royale on Thursday; dear god where did the great reviews come from???? Casino Royale got great reviews. The best of any Bond movie. Last Thursday me, my wife and some of our friends, 5 people total, went to a matinee showing. Our verdict - Casino Royale missed the mark by miles. It is not acceptable as a Bond movie. As a spy movie it is terrible. Daniel Craig, while nothing personal against him, was completely devoid of the special something that makes Bond. We were expecting this is to be Bond begins, unfortunately nowhere in Casino Royale does Daniel Craig ever approach becoming Bond. The last moment of the movie where he says the famous line, "Bond, James Bond", was dry and unconvincing and made no sense in context with the rest of the movie. 'Real' and 'gritty' were over done, flirting with the ridiculous. There were quite a few times where the character’s reaction to violence was completely out of place. It felt like they went back and reworked the script to include a developmental character moment. For instance, when Daniel Craig was cleaning himself up after clumsily dispatching two mercenary goons in the stairwell. It felt completely wrong. That wasn’t Bond cleansing himself, realizing what he was becoming, it was Daniel Craig. People have raved about the shower scene, we found it one of the weakest moments because of how Vesper was reacting. She was spouting badly clichéd psychobabble about killing. If Vesper had actually killed one of the assailants it might of worked. As it was here it was over dramatized, preachy and contrived. Sean Connery or George Lazenby in the right circumstances would have been amazing in a similar scene with a traumatized weeping Bond girl. Lots of little things were never explained. Winning of the classic Aston Martin DB-5 was a contrived and worthless scene if there ever was one. 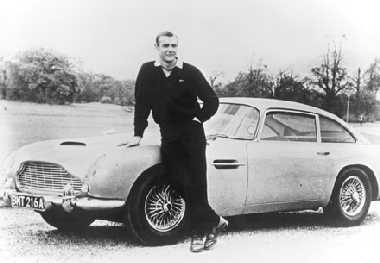 While I still don’t like Bond winning the car in poker game, it could have been good if he had done more than drive the car in a circle and had actually enjoyed the car. It feels like it was an after thought added in post production. Only in the movie because Aston Martin paid for it and almost feeding the myth the Daniel Craig can’t drive. The new Aston Martin has a very short life, dying in a inexplicable crash. A spectacular crash, but it didn’t make sense. The product placements were way too obvious. The action would pause on the product. Daniel Craig did not have on screen chemistry with any of the leading ladies. The Bond girls were lacking. There were two lovely girls who should have been used more. Eve Green was unconvincing as Vesper. She is very good in other movies, but not here. The dialogue was worse than corny. Serious moments were laughable. Centering the movie around poker was a very bad idea. The poison and the defib are one of the weaker moments in the history of Bond. The action at the airport was recycled and tired. The first chase sequence was amazing, however we were rooting for the guy Daniel Craig was chasing. That guy was beyond spectacular. The first 2 kills are vastly different from the book and would have been better left un-filmed. Too much is left unsaid and unexplained making for a very unsatisfactory movie going experience. Once or twice I thought I might have seen Ian Fleming’s Bond starting to emerge only to be quickly sequestered. Daniel Craig completely missed Fleming’s Bond, instead making his own. He was unconvincing as the lead actor, and never captured our attention. The producers should have stuck to the book, at least Fleming explains why things happened. The curse of Casino Royale continues.